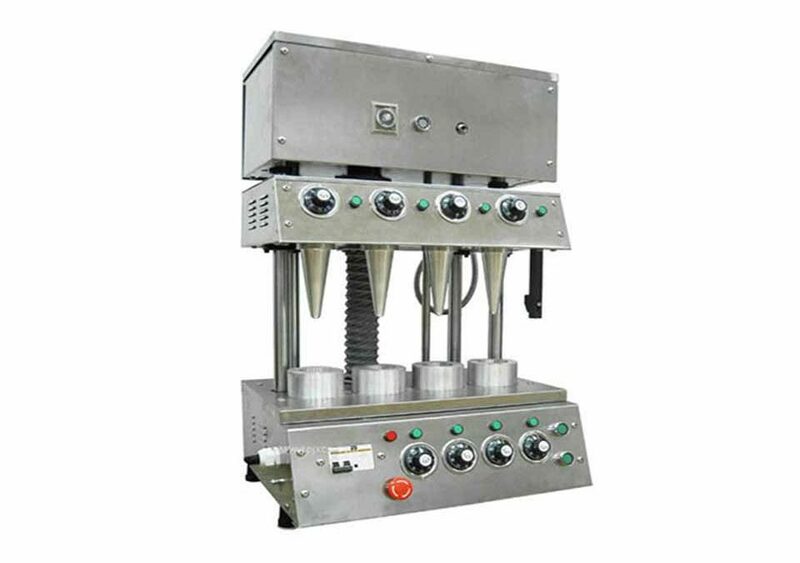 Pizza Cone Equipment, Making Delicious Cone Pizza For You! Gold cone coat, wrapped with nutrition combination of fruits, vegetables, beef, cheese, seafood, cone pizza is one of the delicious and popular snacks among the people. Multiple level collocation of taste, variety of nutrition elements, more choice of flavor, pizza cone is loved by many people whether young or old, men or women. The emerging of the pizza cone equipment, making the pizza cone becomes the tasty food around us. 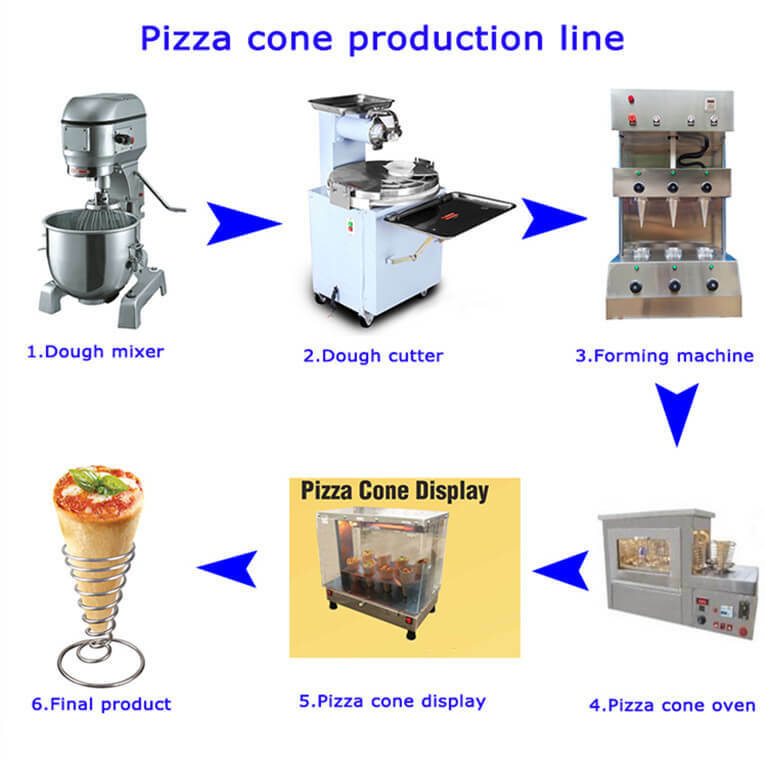 it consists of pizza cone machine, pizza cone oven, pizza cone display, dough mixer, dough cutter machine, with new baking technology, professional design, our pizza cone equipment is the most ideal equipment for making delicious pizza cone to in nowadays the market. 1. Novel design, reasonable structure, convenient operation. 2. All stainless steel production, strong and durable. 3. Introduce Italy advanced technology and craft, excellent equipment and a handful in China. 4. Through the CE and ISO: 9001-2008 international standards certification, quality is stable, safe and reliable. 5. The convenient and quick process of making cone pizza, one time can produce four pieces. 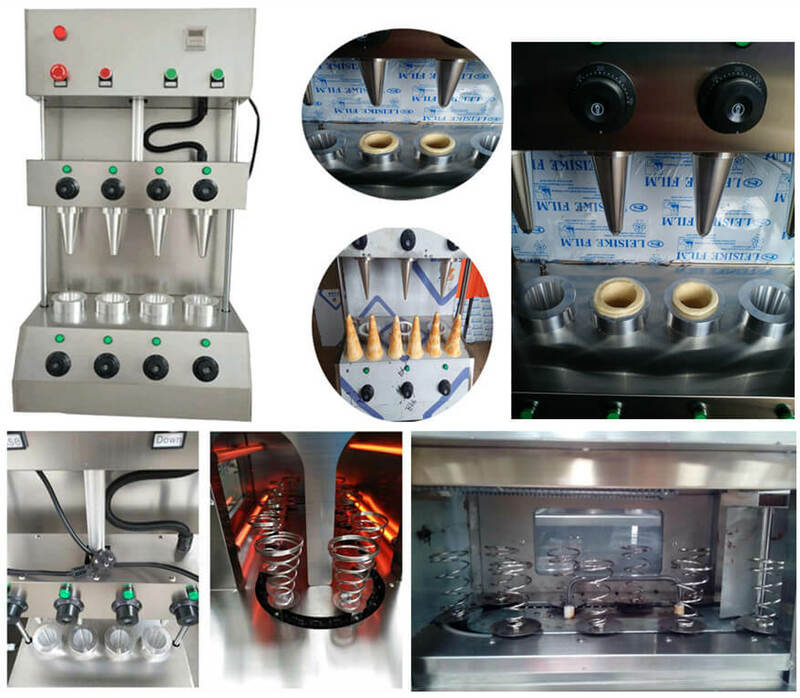 Pizza cone equipment is necessary cone pizza equipment for major restaurants such as tea restaurant, bakery, coffee shop, western-style food shop, beverage shop, Chinese restaurant, leisure food factory, etc. 1) The mold is made of aluminum. 2) Temperature controller to set up and adjust working temperature of the upper mold and lower mold. 3) Calculagraph to set up and adjust working time. 4) Two limit switches to control the operation of the upper mold and lower mold. 5) When the machine comes across a problem, press the emergency button to stop working. 6) Pizza cone size: 60mm (length)*140mm (height)*6mm (thickness). 1) Temperature controller to set up and adjust working temperature, the temperature can be adjusted from 50℃ to 300℃ automatically. 2) Speed controller to set up and adjust the rotating speed during the machine working process. 3) Press the emergency button to stop working when coming across a problem. 4) Installed with lighting devices in the pizza cone oven. Mix and stir flour, eggs into flour paste. 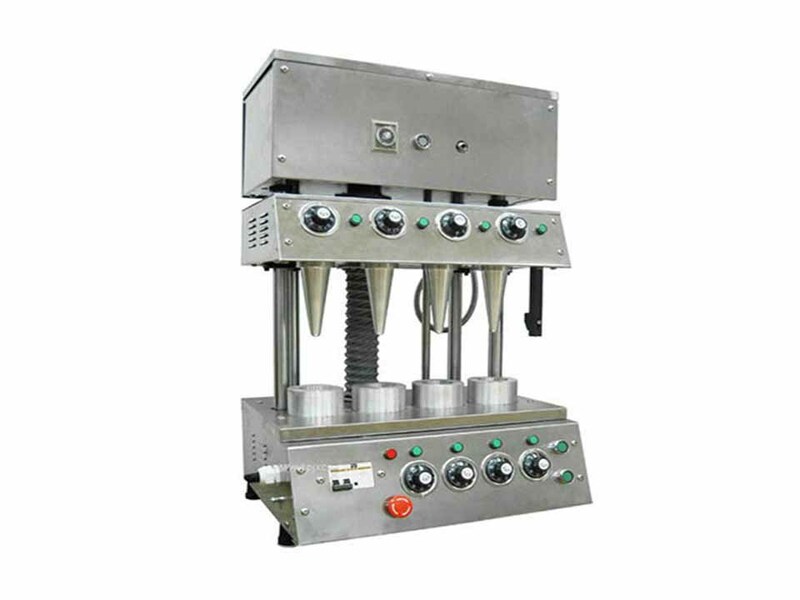 1) Dough depositor, making the big dough to some small dough as your requirement and setting. 2)Dough roller, making the small dough to round shape. 5. Pizza cone display cabinet: display the finished pizza cone, adjust the temperature and keep warm.